A colorful, Mexican, desert themed wedding photography album calls for a bright and colorful cover design. 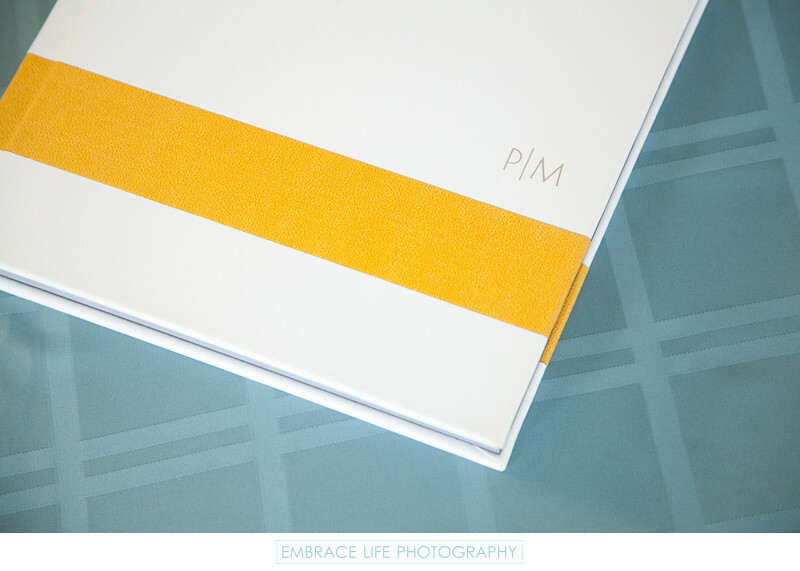 This Museum of Latin American Art (MOLAA) wedding photography album is covered in white genuine leather with a horizontal stripe of yellow fabric and a modern, silver foil imprinted monogram design, perfectly echoing the bride and groom's wedding invitation design and the modern art and design of MOLAA itself. Location: 628 Alamitos Avenue, Long Beach, CA 90802.